Alexa may be a prominent part of your home or office but, with this deal, it can now also be a big part of your car journeys. 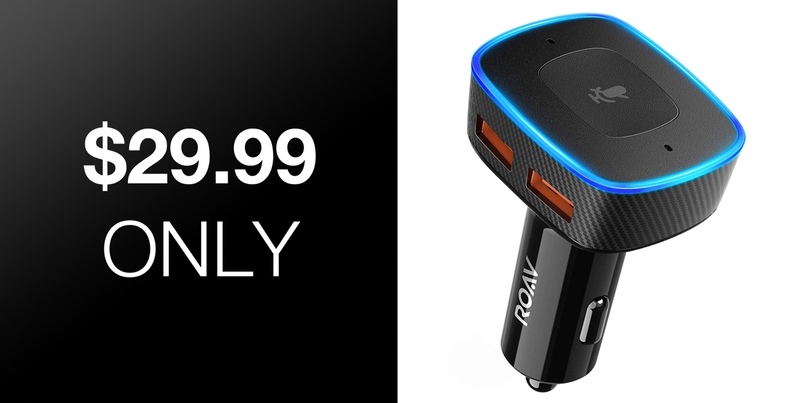 The extremely useful Roav VIVA accessory is now available for a single price of just $29.99. Home-owners who have taken the opportunity to invest in Amazon hardware to bring Alexa into their home are often left wondering how they can do the same thing for their cars. It’s not really reasonable to hack together a solution which sees an Echo or Echo Spot fitted to the car, which means that they actually need a product which has specifically been designed to be used in a vehicle and which comes with Alexa built-in. The Roav VIVA is that product. You may have seen products like this in the past which utilize the vehicle’s cigarette lighter socket for power and which either offer Bluetooth functionality or charging functionality. This is essentially the same thing but built into a beautiful design and with the added bonus of having Amazon’s Alexa voice assistant at your beck and call in the vehicle. If you want some stunning 1980s music playing in the car; just ask Alexa. If you want to get directions to the nearest ATM or gas station? Just ask Alexa. Once the keyword is spoken, the VIVA will kick into action just like you would expect with any of the Alexa-enabled hardware that you have in your home or office. In addition to coming complete with Alexa functionality, the hardware offers an instant ability to charge multiple devices at the same via the dual USB ports that are offered on the product. It also offers VoltageBoost and PowerIQ technology that enables the device to detect the connected hardware and ensure that it gets the best possible charging experience. 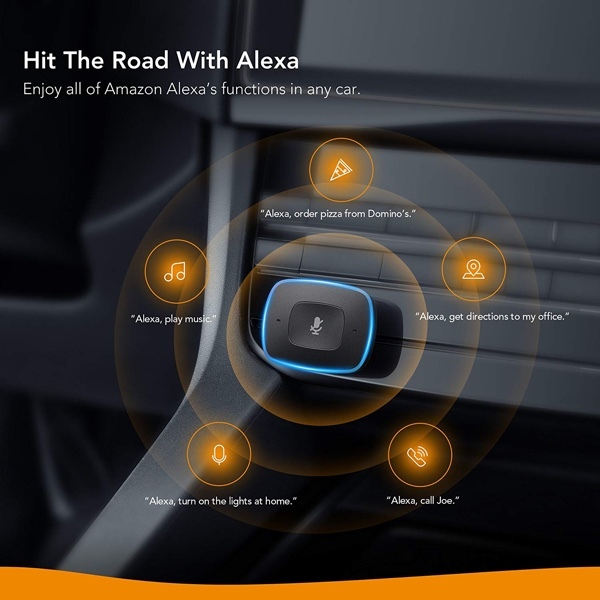 This product is going to let you hit the road with Alexa and bring that Alexa experience directly to your vehicle. Grab it right now for the discounted price directly from the link below, making sure to make use of the promotional code provided.